MASSEY FERGUSON Backhoe Tires: Massey Ferguson offers a compact class of backhoes which offer quick connect to most of their compact tractors, offering a dig depth range from 6 feet 10 feet. Massey Ferguson offers a wide range of bucket width options, joystick controls as well as 180 degree rotation on its backhoe. Since Massey Ferguson backhoes attach to their tractors you may go through tires quickly with all the use and versatility. 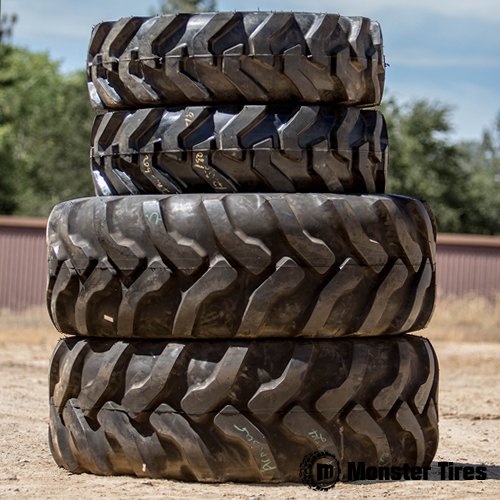 Contact Monster Tires when it comes time to replace your Massey Ferguson Backhoe Tires and find out more about backhoe tires from our industry leading experts. Specializing in every make and model Massey Ferguson backhoe tire, rest assured Monster Tires has the tire you are looking for on your Massey Ferguson machine. From 650 Backhoe Tires to 300-304 Backhoe Tires and 50A-50H Backhoe Tires, Monster Tires can get you the tires you are looking for.